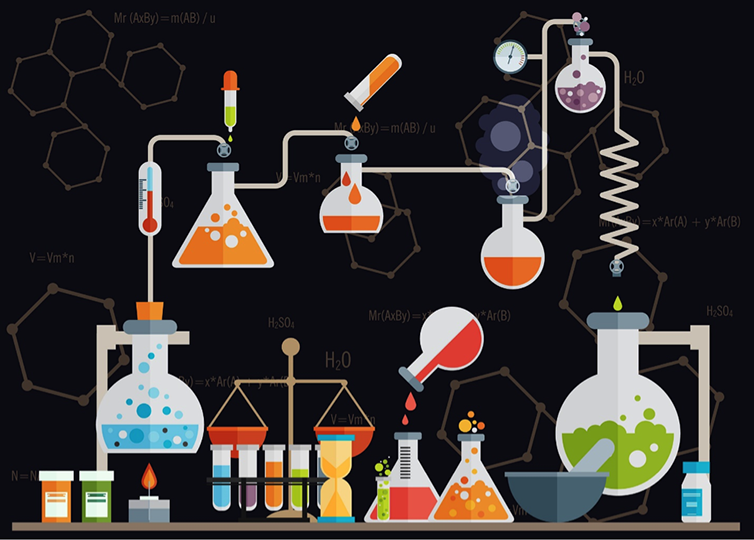 Experimentation is crucial to product development and arriving at the best solution to a problem. Working this way can lead to “outside the box” thinking. It requires seeing the potential of something or using something for a purpose that it may not have originally been designed for. It requires playing around and having some imagination. Children are great at this. To a child a cardboard box or an empty plastic bottle holds so many possibilities! That is a state that many adults, particularly creative adults, are constantly trying to nurture within themselves. Seeing something fresh – almost to see it as if for the first time – with childlike wonder. This is how many amazing new products get invented, created and developed. Take, Bill Bowerman, co-founders of Nike. He sat down to breakfast one morning in 1971 and decided that a waffle maker could serve another purpose besides just making waffles. The University of Oregon’s track was about to be replaced with an artificial surface prompting the need for a shoe that could grip without spikes. 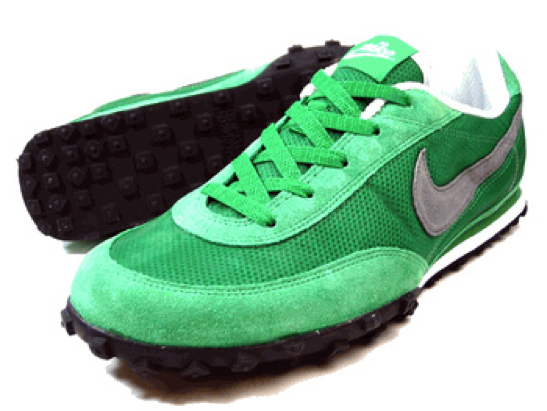 Also, as a track coach Bowerman was seeking a way to make a lighter, faster running shoe for the athletes he trained. While making waffles with his wife that morning, Bowerman concluded that by turning the waffle iron upside down, so that the waffle indentations could protrude and theoretically grip the surface of the track, one could make an excellent shoe sole for a running shoe. With that idea in mind he entered his lab, dismantled the waffle maker, mixed and poured urethane onto the back side of the waffle iron, and the Nike waffle trainer, a shoe that continues to be popular to this day, was born. Experimentation is also crucial to Hypnap as we continue to develop and refine the TruRest. For example, we are exploring a number of different materials for the TruRest cushions. In considering a delicate area such as the face, we want a material that is soft, non-toxic, and safe for contact with the skin and mucus membranes of the nose and eyes. We also want a material that is hypo-allergenic, breathable, anti-microbial, supportive, easy to clean and as eco-friendly as possible. 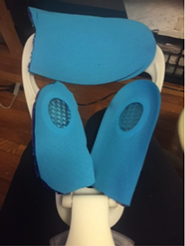 For our initial testing we went to Walgreens and bought bath sponges, gel shoe inserts and makup-up wedge sponges, cut them up and assembled each material to fit the face plate of the TruRest and then tested each one out. 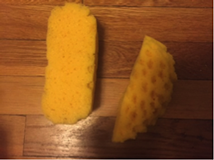 We found the make-up wedge sponges to be most comfortable, allowing equal distribution of weight and pressure, between the forehead and the cheeks. 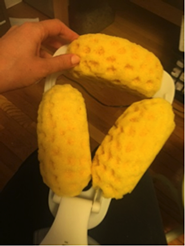 While we appreciated that property, the sponges are made of a synthetic foam and they irritated my skin after resting my face against them for long periods. This surprised me though because the sponges are designed specifically to apply and remove make-up from the skin! It’s a subject for another blog post but the skin care industry is one of the most unregulated. Please check out the Environmental Working Group for more information. Needless to say we didn’t want this for our TruRest! However, we were able to use the information that we gathered from that initial testing as a launch pad to explore more materials – this time ones that meet our strict standards. Two of those materials include Technogel and Mycoflex foam. 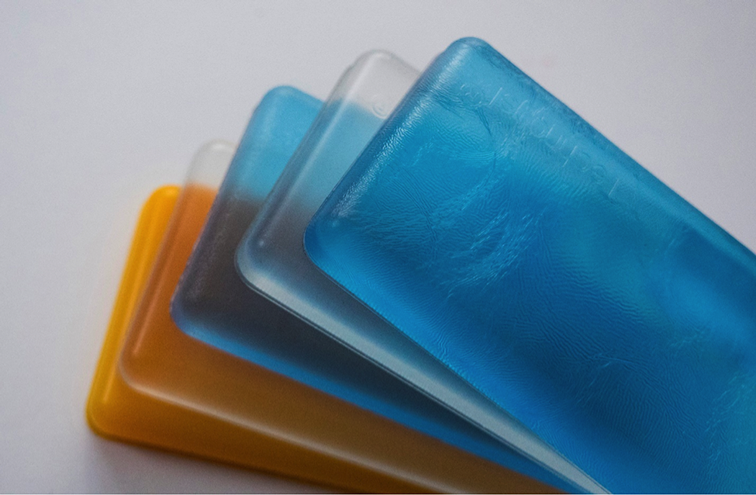 Technogel is a solid gel like material made from polyurthane but produced without plasticizer oils that is oderless, non-toxic and bio-compatible (meaning that it can be used in medical implant devices without harming human tissue). Technogel also provides thermal regulation to keep the skin cool and avoid overheating. This will be important as the face will come in contact with the cushions of the face plate of the TruRest for long periods. 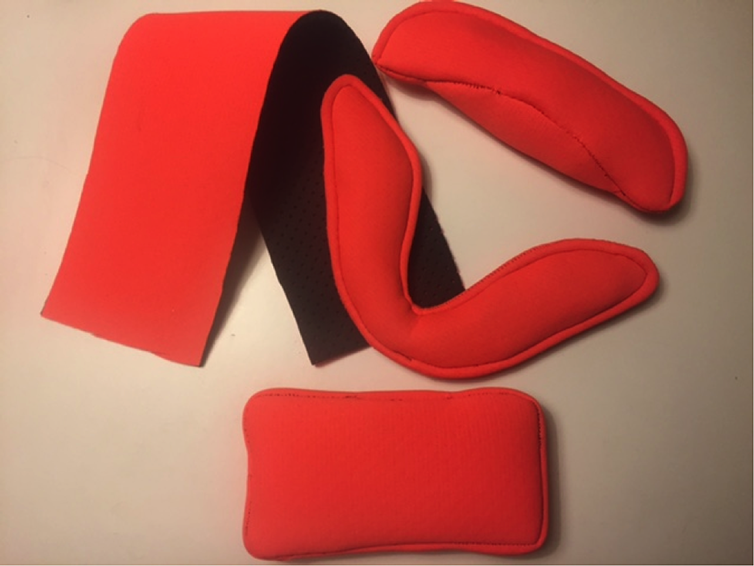 In addition it is bouyant and supportive allowing weight to be distributed evenly as the pressure of the face is placed on its surface, kind of like a memory foam mattress. This is very important component in the comfort of the TruRest, so that no one area of the face, be it the cheeks, forehead or chin, takes the brunt of the force of the weight and pressure. Humanscale and Steelcase, renown companies that design and manufacture ergonomic office furniture, currently use Technogel in their office chairs and other products. 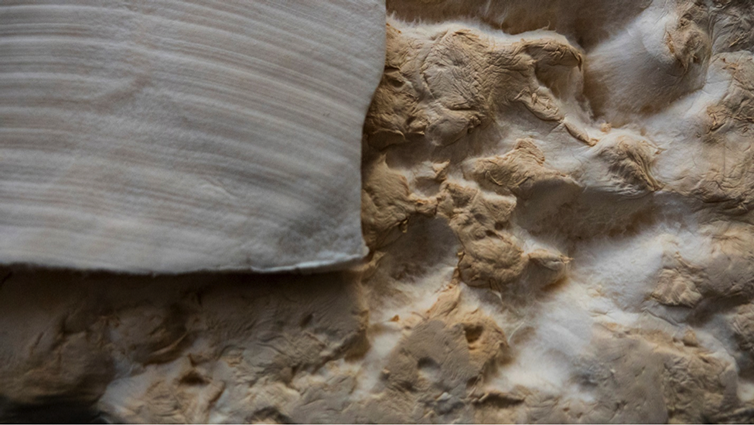 A company called Ecovative that develops and produces earth friendly materials is currently advancing a product that we are also exploring called Mycoflex that will soon be released to the market. 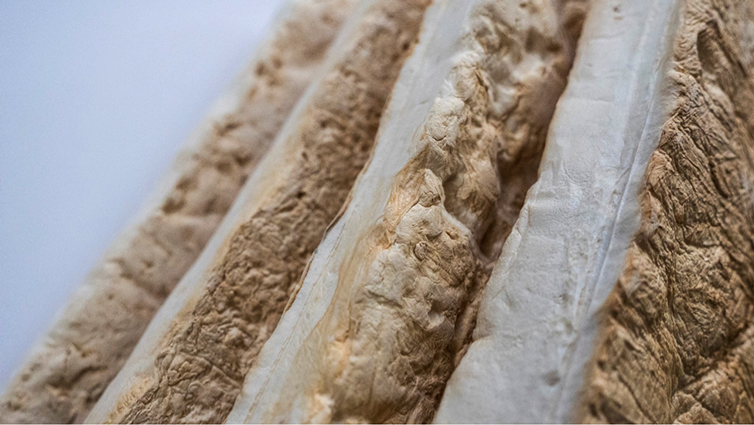 Mycoflex is made entirely of mycelium (the vegetative part of fungus) so it is essentially made of mushrooms! Being completely plant based it is non-toxic and biodigradable, compostable and rapidly renewable. 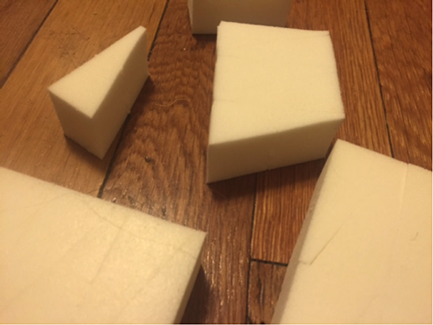 Ecovative intends for Mycoflex to be used in seat cushions, shoe soles, yoga mats etc. 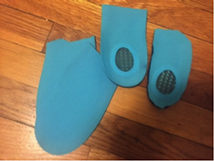 We also experimented with a material called Ariaprene, a hypo-allergenic, non-toxic and eco-friendly high performance foam that is used in bags, athletic shoes and equipment but we found it to be too stiff. 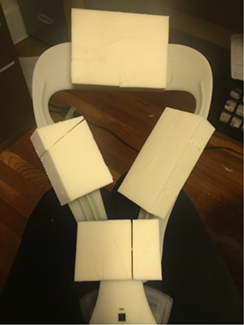 We will keep you updated as we continue to keep you updated as we experiment with more materials. What kind of material would you want to rest your face against?